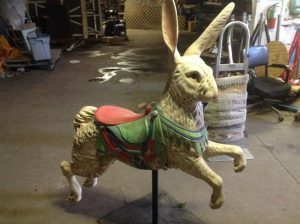 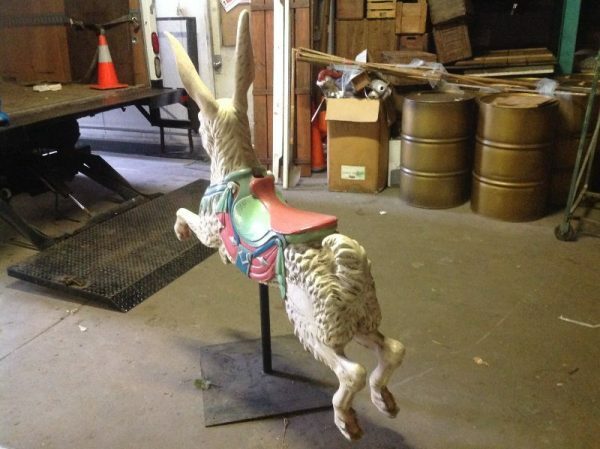 Vintage fiberglass carousel Rabbit store display animal in as found condition. 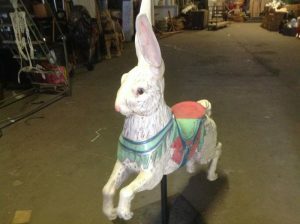 Nice looking with stand included but may need some light cleaning and touch up. Rabbit along with the other animals posted were used by the now closed Philadelphia, Strawbridge and Clothier department store back in the early 80’s, stored away for over 25 years until we found them a few weeks ago. Maybe a Tobin Farley animal, not sure. 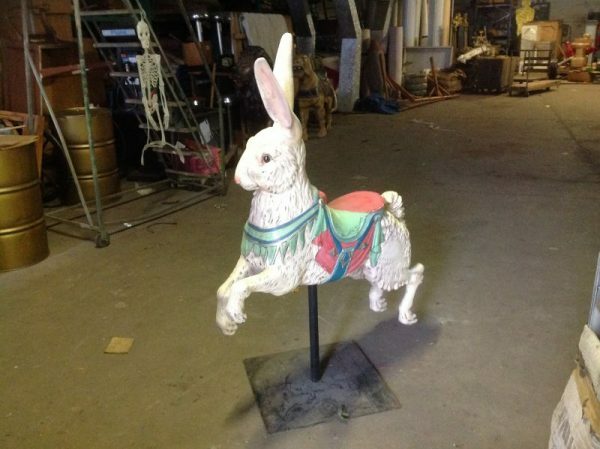 He will brighten up almost any room…….